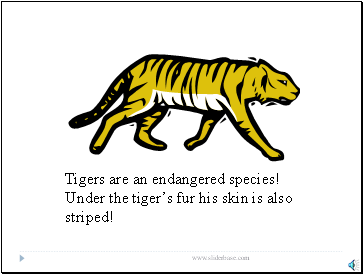 Tigers are an endangered species! Under the tiger’s fur his skin is also striped! 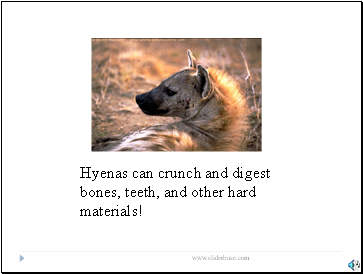 Hyenas can crunch and digest bones, teeth, and other hard materials! 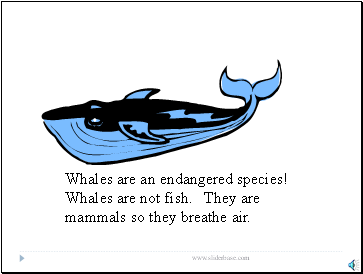 Whales are an endangered species! Whales are not fish. They are mammals so they breathe air. 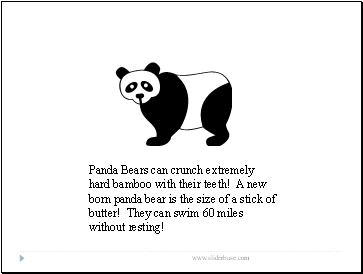 Panda Bears can crunch extremely hard bamboo with their teeth! A new born panda bear is the size of a stick of butter! They can swim 60 miles without resting! 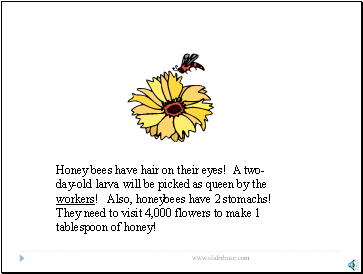 Honey bees have hair on their eyes! A two-day-old larva will be picked as queen by the workers! Also, honeybees have 2 stomachs! They need to visit 4,000 flowers to make 1 tablespoon of honey! 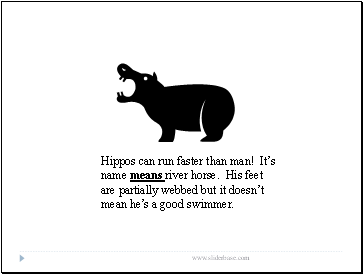 Hippos can run faster than man! It’s name means river horse. His feet are partially webbed but it doesn’t mean he’s a good swimmer. 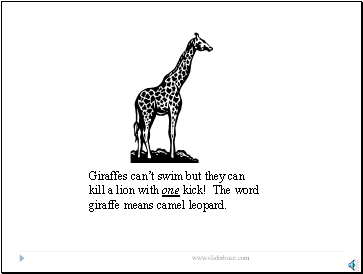 Giraffes can’t swim but they can kill a lion with one kick! The word giraffe means camel leopard. 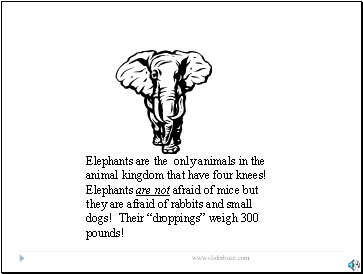 Elephants are the only animals in the animal kingdom that have four knees! Elephants are not afraid of mice but they are afraid of rabbits and small dogs! Their “droppings” weigh 300 pounds!